Our software is linked with Cayan for processing Credit Card purchases through the TCS program and the Web Store. 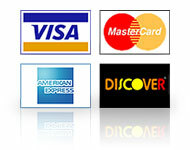 We also work with ChargeItPro directly for processing Credit Card payments. You can upload your consignor information and your consignors can check their account status online. They can get: Payment Due, Available Inventory, Prior Payments, Expired Inventory and Donated Inventory. The Consignment Shop interfaces with QuickBooks Pro making it easy for your accountant and filing your taxes. 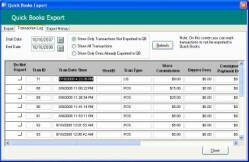 Consignor Payments, sales and expenses are exported. Realtime interface between The Consignment Shop and the Web Store. Inventory can be listed in the brick and mortar store and the web store. The web store is fully customizable. Shopping cart interfaces with numerious payment gateways including Paypal and Google. Web store sales are downloaded into The Consignment Shop System so reports include web store sales.